yeah so, above is our pilot, and co pilotess. they we-re so cool. 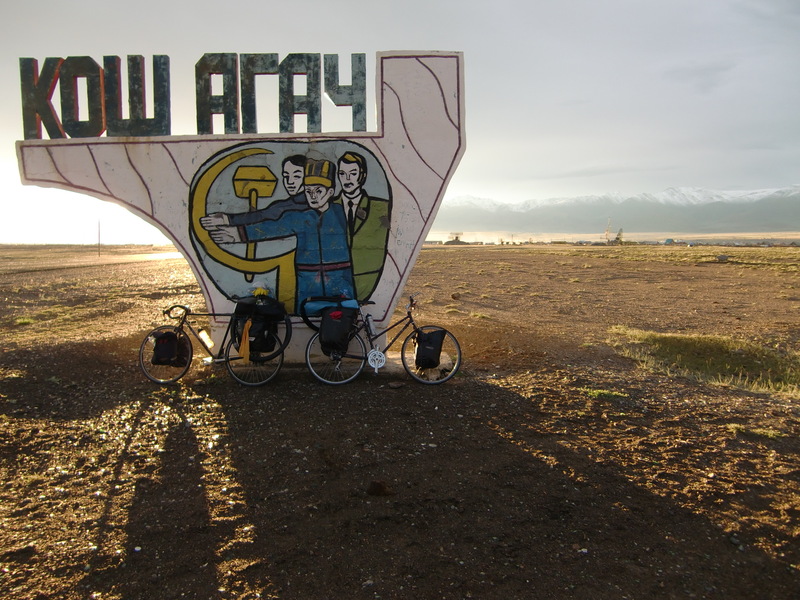 they gave us a ride about 300 k north outta Almaty. 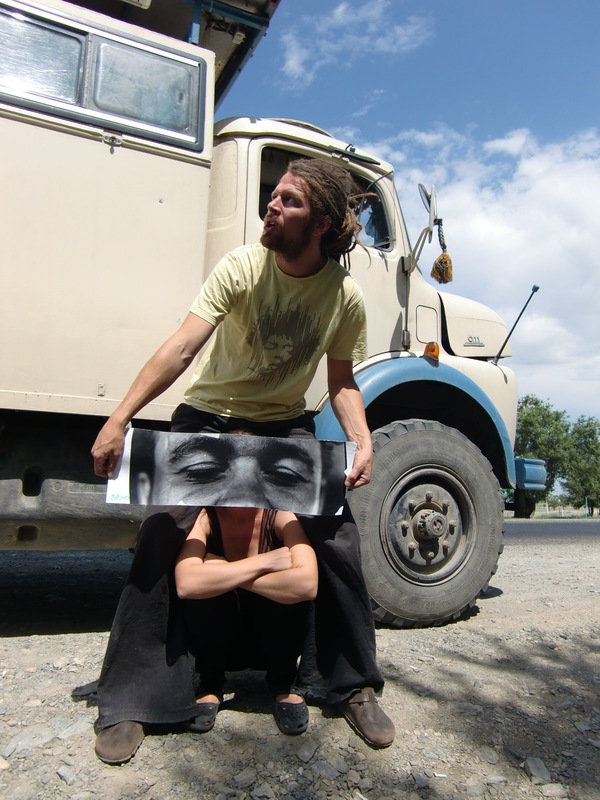 we decided to leave the truck and try catch a ride with a faster vehicle as our visa was running out fast. so we spent the whole day trying to hitch. we got harassed by drunken men then took the wrong road to the train station, then cycled back with the wind against us, then stopped and cried. 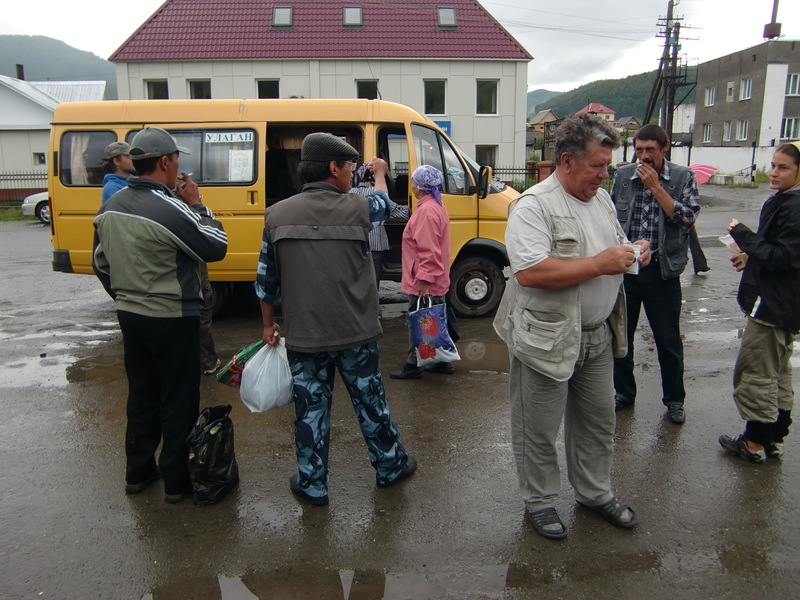 in the end we got lucky and 2 dudes took us 100km to the next town where we can ride on a bus. a little small tenga into the bus driver’s hand and we got on with our bikes. 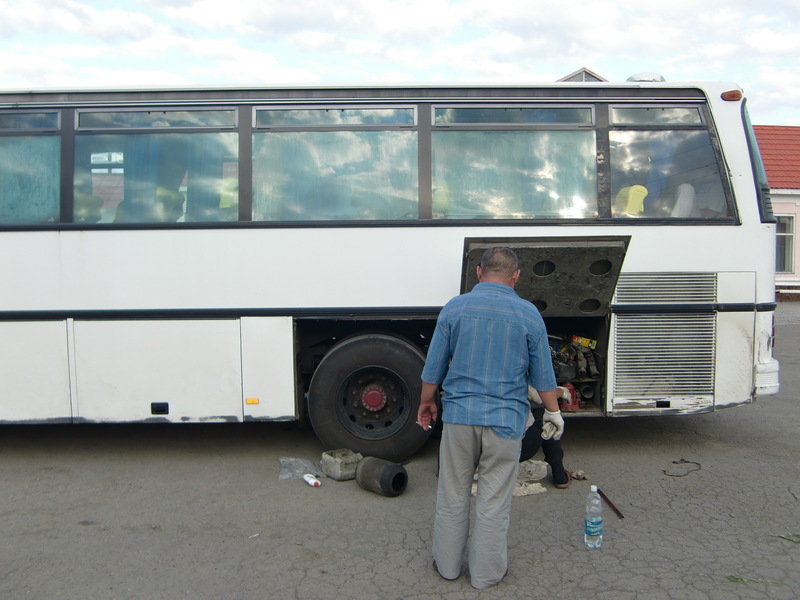 after 8hours the bus broke down, but this is normal procedure here in KAzakstan. we finally got to Simay (last city b4 border) at around midnight. 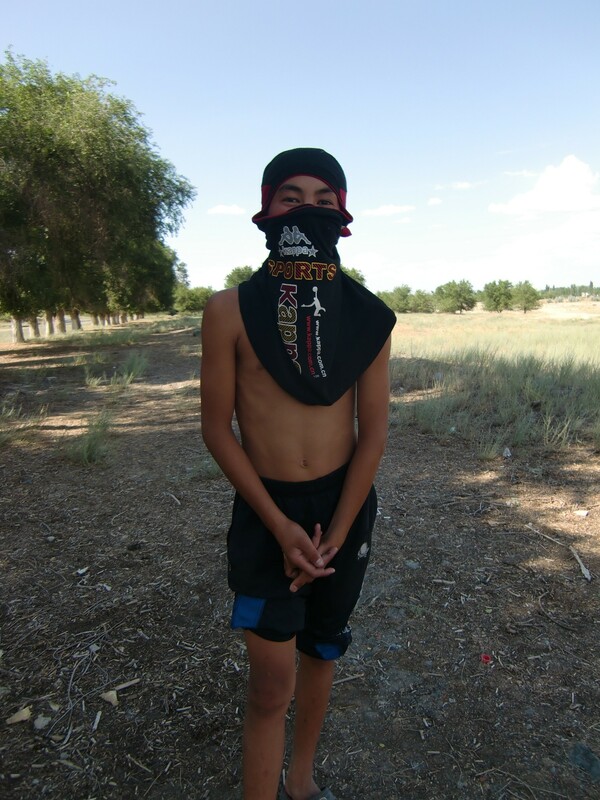 CartaSan was super as usual and picked us up with his gangster crew from the gheto city. they gave us the key to an Apart and we crashed the nite there just the two of us. how sweet. in the morning we left early, cycled towards the border. 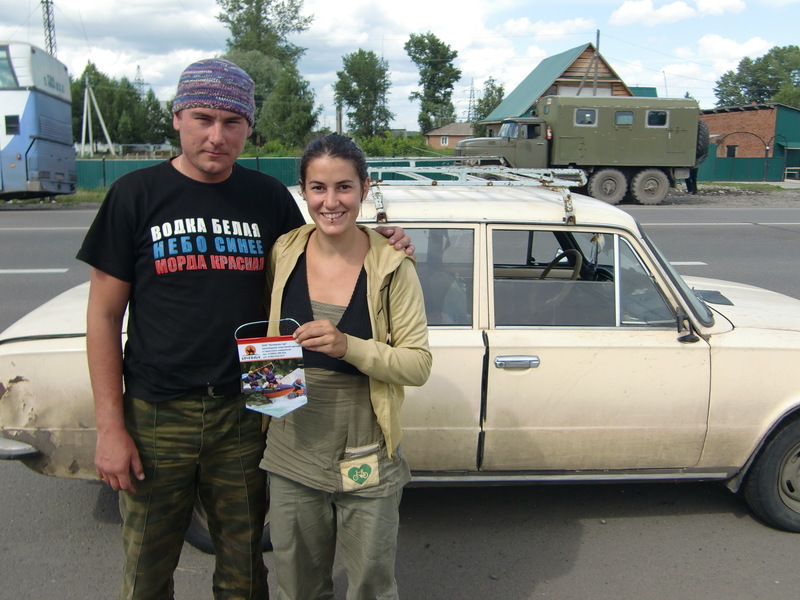 we meet some Aussie couple cycling from Mongolia at 50km from border, we exchanged maps and tips etc. they took the north route to U.B and we we said fck it, lets do the same. more water that way. next day, crossing the border was simple,we meet a couple on motorbike crossing the other way. at that point realized its summer, that’s why we seeing more travellers/holidayers. 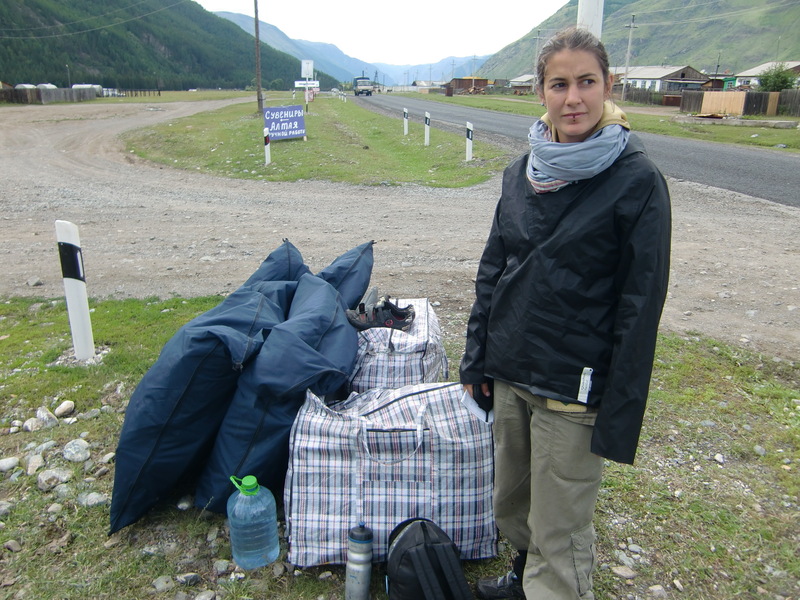 so 10 day transit visa to cross into Mongolia. we decide to try and hitch towards the border and cycle the rest. so back in Russia heuh, crazy. so much more green everywhere. 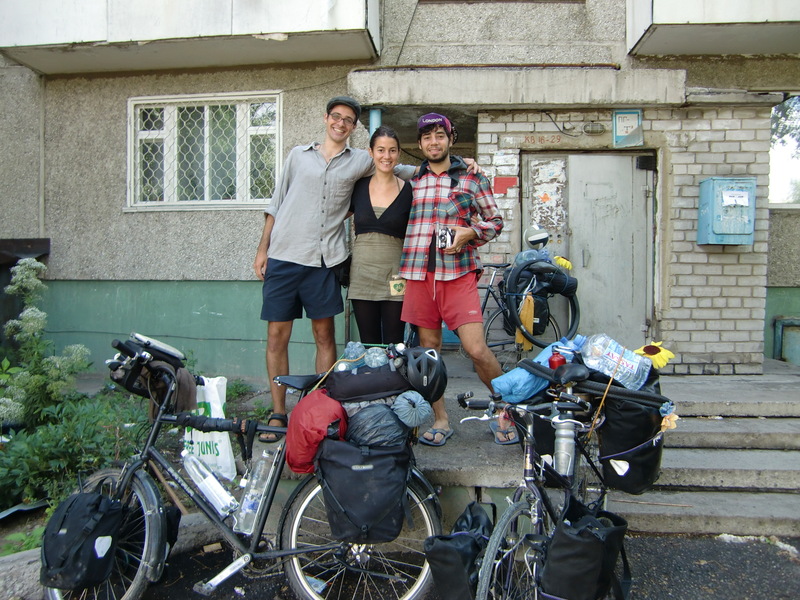 we cycle a bit to the city and then start hitch hiking. we get some good rides with people but they all ask for cash straight away. 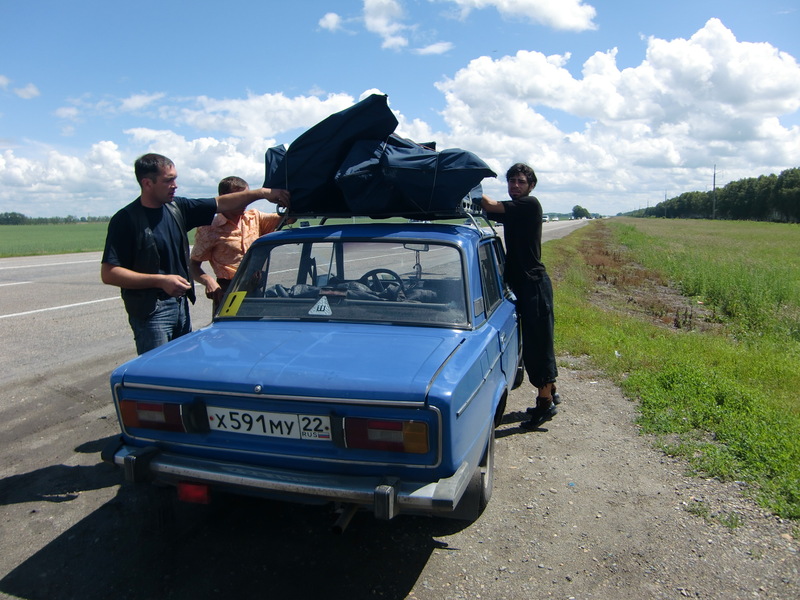 one guy took us for 200rb to Bisk , in his blue lada and bikes on top. another hippie took us further, he too asked for 200rb, muz tried to bargain him down to 100 but he said the big NIETTE no quite loudly to him into his left ear. after handing over the 200rb he was really nice to us, he even gave us a gift . 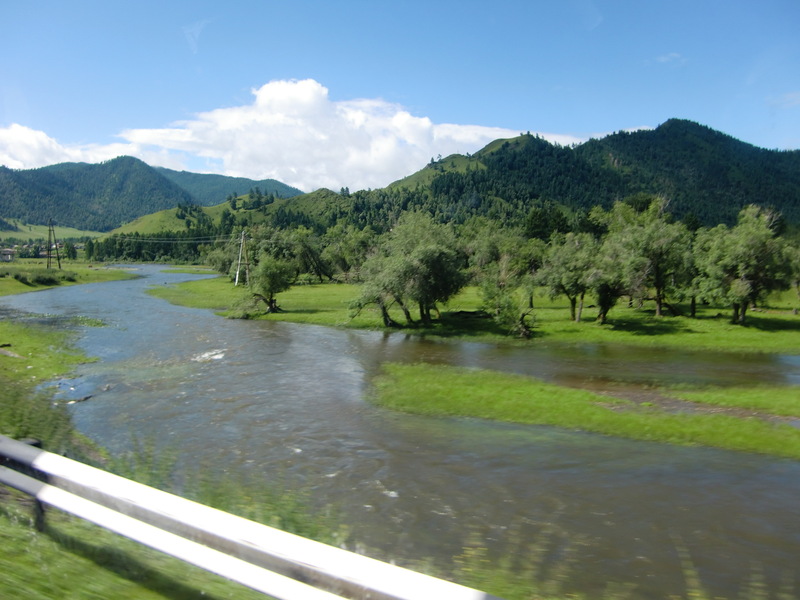 the Altay region , is so beautiful, a must see. we were quite upset looking out of the car window for a week , craving to cycle it. when we got to kosch a gauche about 2500m high. 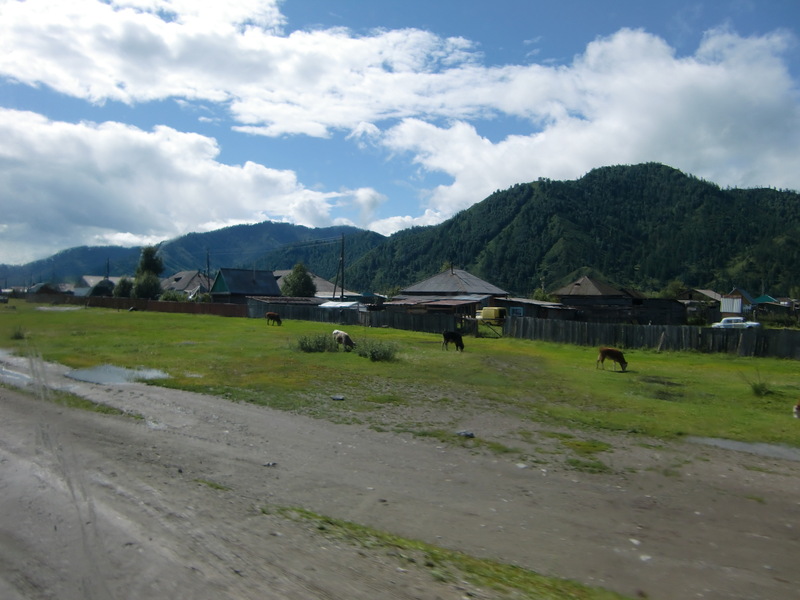 we cycled the rest towards Tsanta , the border crossing. CartaSan, our new cycling hero joined us at this point, he managed to get a ride with a lorry driver, so no cash exchange. no cashgasORass for him !! 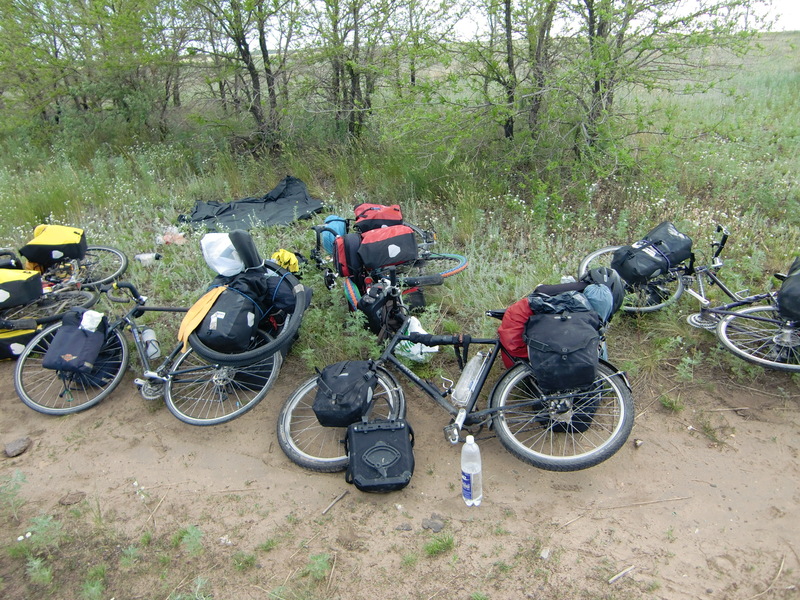 at Tasanta, we werent allowed to cross the border on bikes, as its No mans land. only machines they say. we thought about the idea of super-gluing a 12v electric motor to the front and using old loo roll tube for the exhaust pipe. and trying the next day, …….but in the end we spend the day asking all machines crossing to take us. 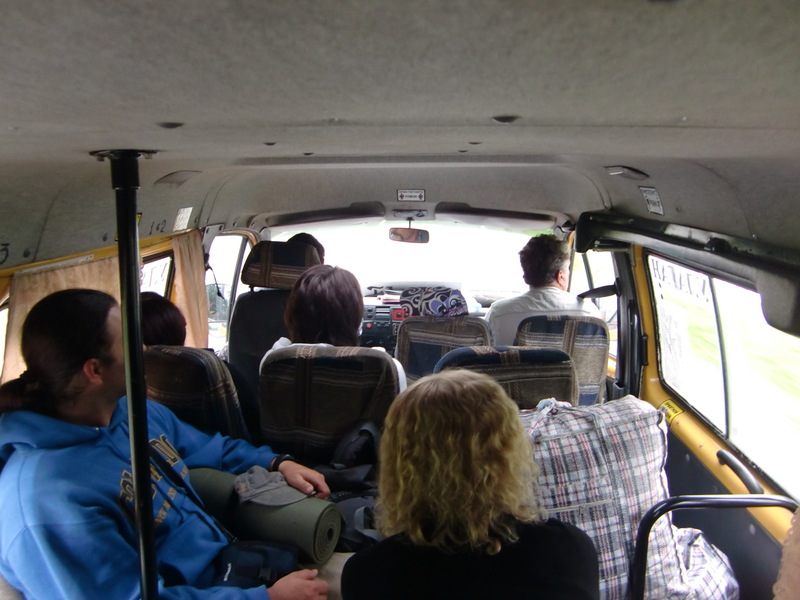 a mongolian taxi jeep was cheaper then the russian guys, so we jumped in. 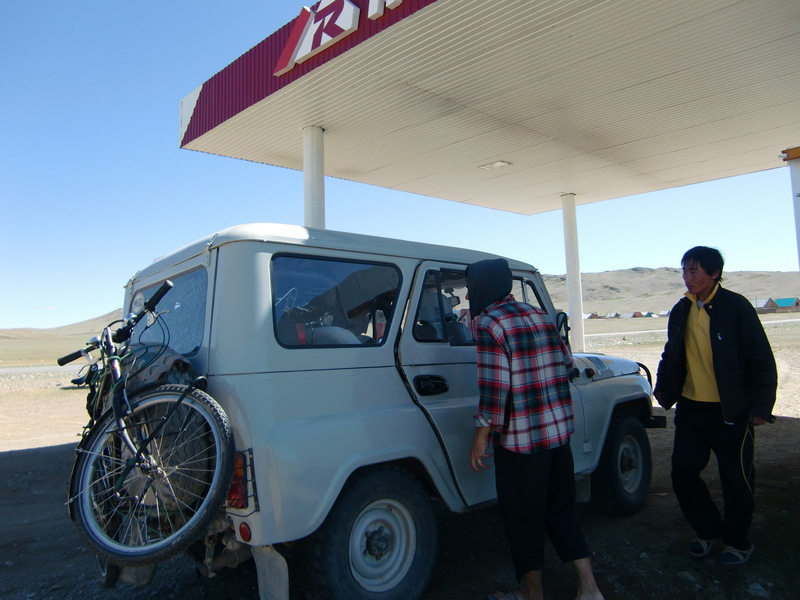 we paid the jeep 900rb, for 3 bikes and of coarse 3 musketerrs. a bit pricey for 20km. the good news however is that we didnt pay for registration. there is a registration office at the border and its free, we registered after 4 days , and had no problem. Quitter le Kazakhstan et traverser plus de 1200 km en moins d’une semaine n’a ete qu’une grande course poursuite avec le temps! 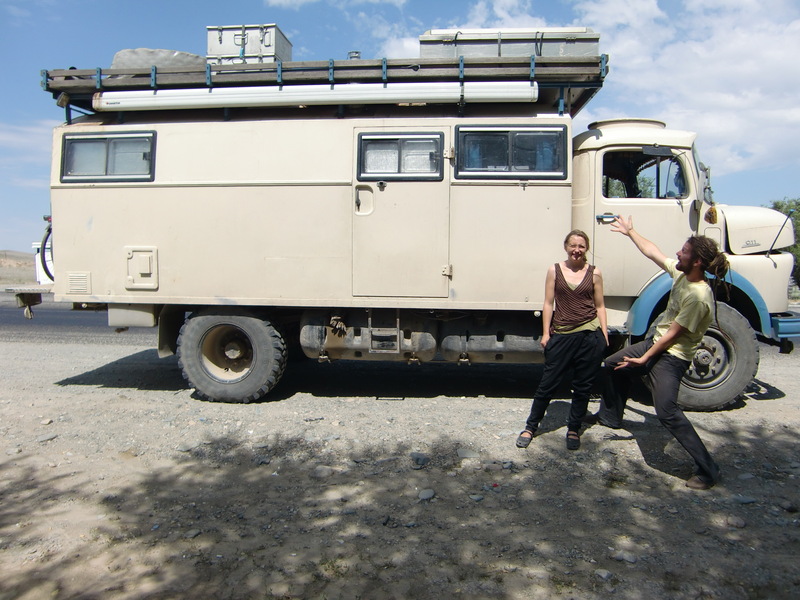 On est partis d’Almaty avec un couple d’allemands en camion. Super cool! Ils nous ont deposes 300km au nord d’Almaty, et ensuite on a essaye de faire du stop car le camion n’etait pas le plus rapide du monde, et on n’aurait jamais pu passer la frontiere a temps.. Mais c’etait juste impossible.. Les voitures qui s’arretait etaient trop petites et les autres ne s’arretaient pas, on a essaye toute une apres-midi, se faisant emmerder par les bourres du coin, et on a finalement abandonne car on etait trop presses par le temps… Donc bus jusqu’au nord du Kazakhstan a Semey ou on a retrouve notre pote allemand Carsten! 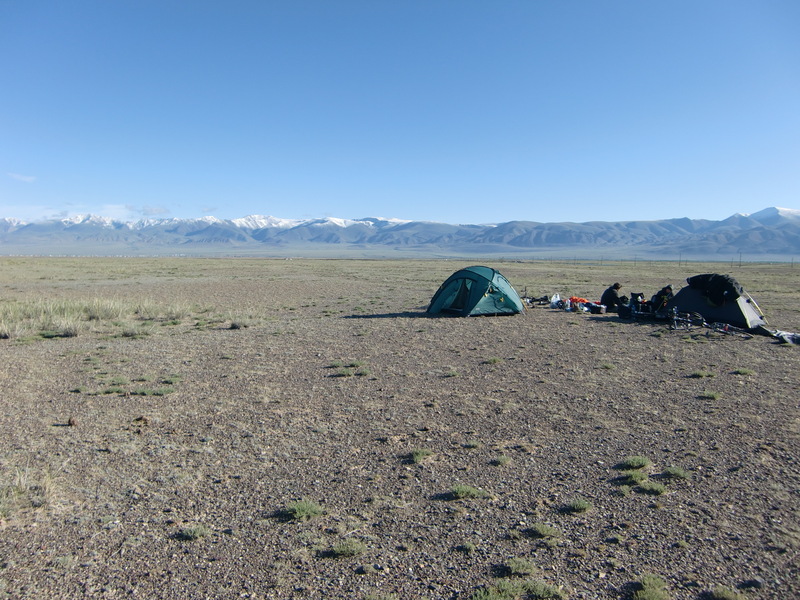 Puis velo velo, on rencontre des australiens a velos aussi, eux allant au Kazakhstan et ayant traverse la Mongolie, nous faisant la route inverse. 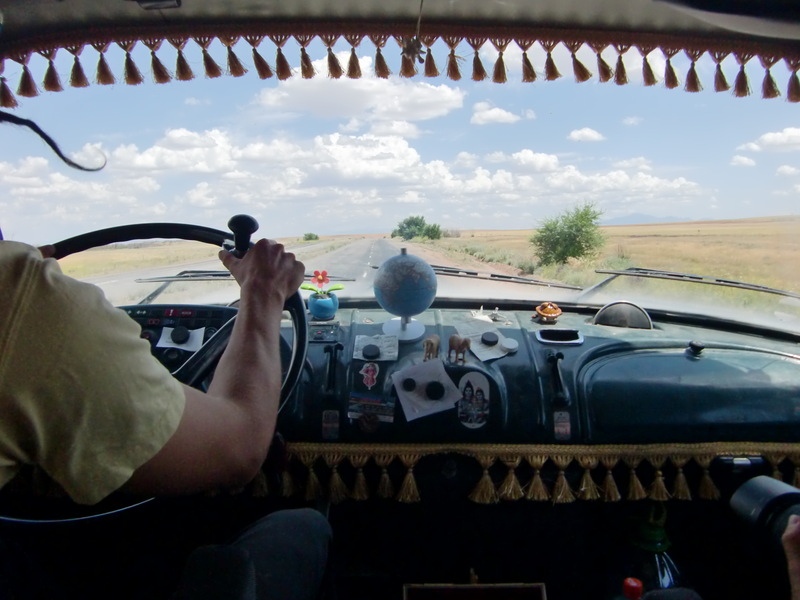 Donc on echange les carte et ils nous donnent un mini atlas des routes en Mongolie. Ca tombait bien car bien sur on avait aucune carte (a part celle de Carsten, assez generale), ce qui n’est pas vraiment tres recommande en Mongolie… Et on passe la frontiere avec la Russie a temps… Ouf! On a quand meme passe la frontiere a temps, et a bord d’une jeep car il y a 20km de zone interdite en Russie avant la frontiere mongole! On a du attendre un jour car il etait trop tard et la frontiere fermait.. On a donc campe devant le poste frontiere! Et la encore les russes ont essayer de nous avoir, mais on s’etait prepares et on s’est pas fait arnaques! C’est finalement une jeep mongole qui nous a pris, les gens tres gentil et prix raisonnable.. Enfin! Are you still on the Earth ? It could be another planet!I love these pictures…More, please!